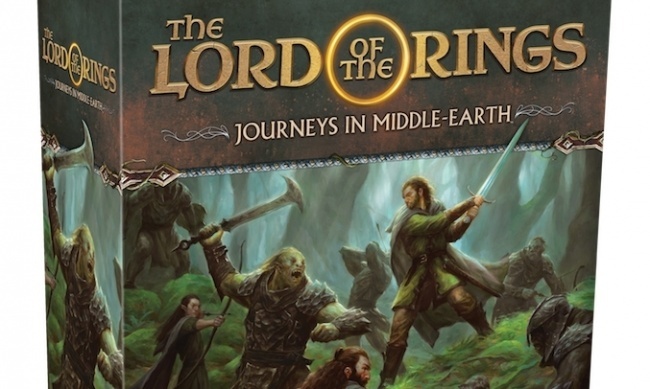 Fantasy Flight Games will release the app-driven adventure game The Lord of the Rings: Journeys in Middle-earth in Q2. In The Lord of the Rings: Journeys in Middle-earth, players take on the role of well-known characters from Tolkein’s stories, such as Bilbo Baggins or Gimli the Dwarf, working together to explore the wilds and ruins of Middle-earth, fight monsters, and explore mysteries. The game includes six different characters to choose from, and each one can assume different roles within the party, allowing players to customize their characters. The abilities of the characters are controlled through their decks of cards, which can evolve over the course of the game using mechanics similar to deck building games. 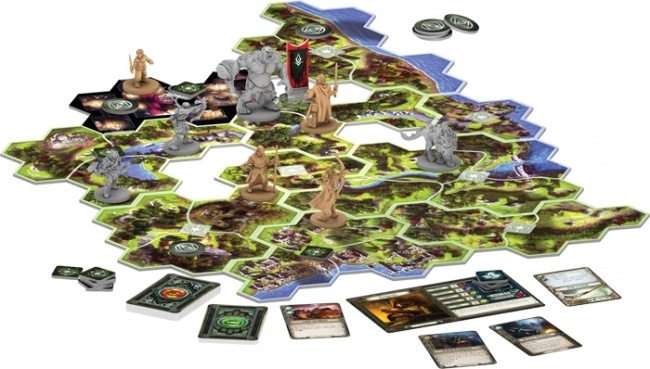 The action in the game is moderated through the free companion app, which instructs players how to lay out the geomorphic board tiles and controls the actions of the monsters and other foes. 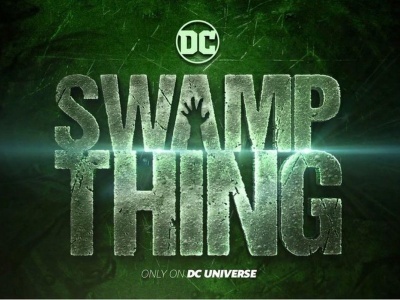 The game includes fourteen different adventure scenarios, linked together to form a campaign across multiple games. 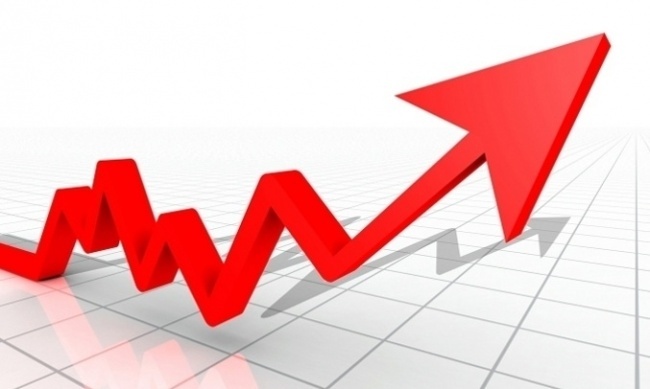 During the campaign, players can improve and modify their characters, gaining new and more powerful skills and abilities. To improve replayability, each adventure features side quests and branching encounters that the players can unlock during the game. 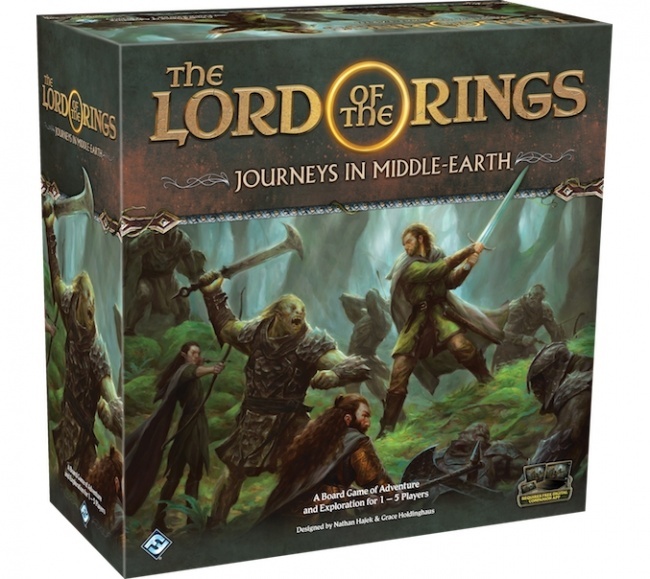 The Lord of the Rings: Journeys in Middle-earth was designed by Nathan Hajek and Grace Holdinghaus, both veterans of Fantasy Flight’s long-running Descent: Journeys in the Dark (Second Edition) series. 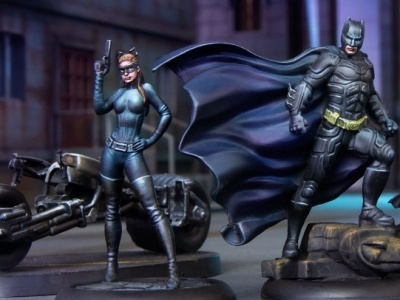 The game will feature six unpainted plastic miniatures to represent the heroes, 25 enemy miniatures, board tiles representing both exterior and interior settings, cards, and tokens. The companion app will be required for play. It is intended for 1 to 5 players, ages 14 and up, and each adventure will take an hour or more to play. MSRP is $99.95. Click on the gallery below to see images of some of the game’s components. 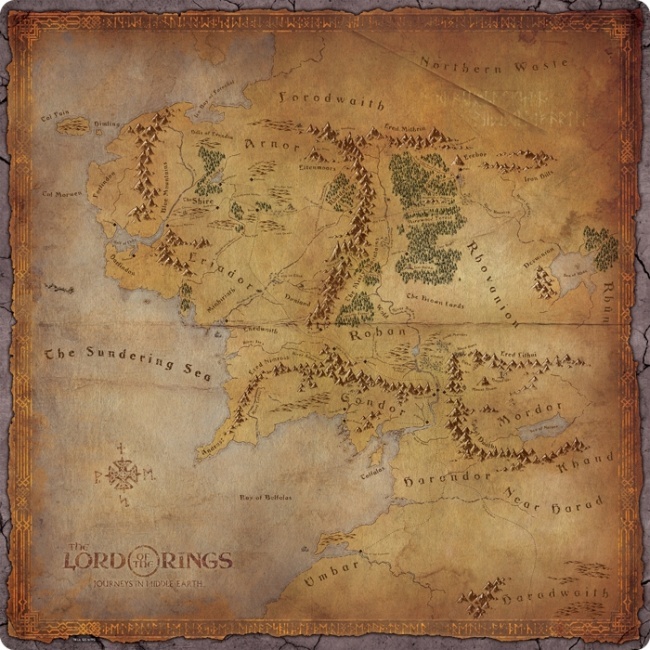 Fantasy Flight is also offering a large three-foot by three-foot rubber Middle-earth Gamemat featuring a map of the regions of Middle-earth explored in the game, with an MSRP of $39.95. 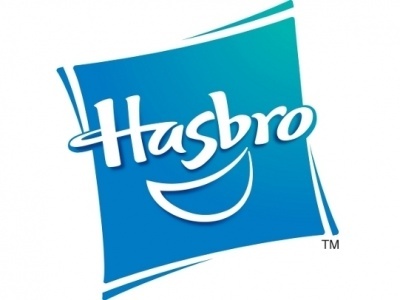 The second quarter will see the release of supporting products for Star Wars: Legion (see “‘Star Wars: Legion’ Rolls Out New Vehicles”) and the Star Wars Roleplaying game (see “Official RPG Stats for 130 (In)Famous NPCs in the ‘Star Wars’ Universe”) as well.